Husmee organized a tribute to the Helvetica typeface as 2017 marked the 60th anniversary of its release. Each one of the participant studios designed a poster dedicated to this great typeface and we had total freedom for developing our works. 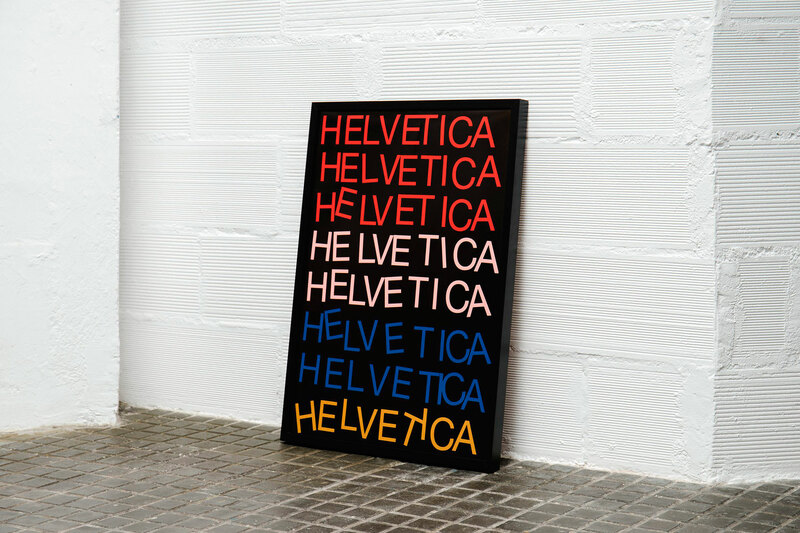 When we think of Helvetica we often associate the font with its modernist style and frequent use in the corporate world. When we created the Dancing Helvetica poster we wanted to take the fonts structured and formal characteristics and give it a sense of energy and rhythm.